Stay tuned for more information, we will be releasing conference information, the link for discounted lodging and pricing soon. To view some reflections on our last User Group Meeting, click here. 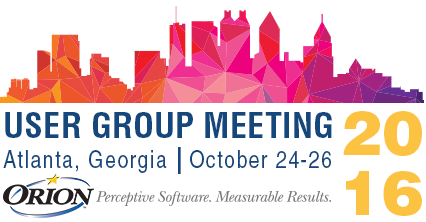 We can’t wait to see you all in Atlanta next October. Our UGM portal is now live! Get registered today and take advantage of “Early Bird” rates.